Tripods are one of the most essential bits of kit any photographer owns. 2/ Don’t ever use built in flash guns. Still good advice I think. 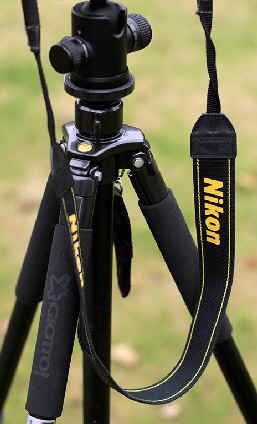 So if you don’t already own a tripod - why not? If you’re serious about your photography, you need a tripod. There are many types of photography, and many times when trpods are essential. Although the two tend to get lumped together, with anything above the cheapest price levels, tripod legs, and tripod heads are bought separately. 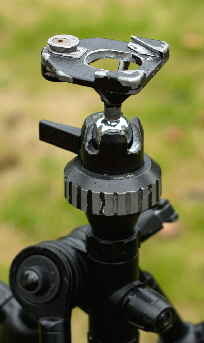 Fittings are pretty much universal, so a Giottos tripod head will fit on a Manfrotto tripod and vice versa. There is a general rule that the more sections a tripod has the less stable it will be, so if you are a serious photographer, you’re looking for legs that will reach your eye level, with no more than 3 sections. Cheaper 4 section tripods are usually just a bit too wobbly so best avoided. Some carbon fibre or light alloy 4 section tripods are good as travel tripods, but if you’re buying your first tripod, look for a set of legs with 3 sections. The other main thing to look out for is the type of locks between the leg sections. My favourites are the lever variety, for two reasons: They’re quick to operate, and it’s easy to see whether they’re locked or not. Other types, such as twist or screw locks look exactly the same locked or unlocked - accidents waiting to happen is the phrase that springs to mind. Most sets of 3 section tripod legs are fine for general use - More money will buy better design and a better strength to weight ratio, but where you should really spend your money is on the tripod head, so the reviews here will concentrate far more on tripod heads than legs. I started on this because I’d used much the same tripod and head for years – a Uniloc (Benbo by another name) and a Manfrotto 168 ball and socket head. Looking back, neither were really ideal but they worked and I knew them well. You get used to Benbos but they can be really awkward b.........s if all you need is a quick setup on a level surface. Recently I’ve used various Manfrotto sets of legs and bought a geared head – a Manfrotto 410 which I thought was the answer to the meaning of life until I actually used it. The head is lovely but the adaptor plate is awful – It’s huge and expensive but the camera is secured by a tiny knurled screw which is impossible to tighten adequately unless you have a 50p coin in your pocket. Even then, it’s far too small. Messed up a whole night shoot because I just couldn’t get it tight enough to hold my 5D MkII + 24-105 and grip. The camera kept moving slightly whenever I was shooting uprights. By the end of the assignment I was ready to drop kick the thing into the River Tay. Time to look outside Manfrotto. That experience sent me on a tripod mission – I didn’t know that several manufacturers now have a design of leg that gives you most of a Benbo’s versatility without the pain. Nobody told me. At the moment I’m using, and would recommend, a Giottos MH1301 ball and socket head – beautifully made, small, simple and just plain works. Also an excellent Giottos MH5001 3 way head, and Giottos MTL9251B legs which are lovely but a bit lightweight so I’ll probably buy a heavier set sometime. Although they usually all lock at the same angle, there’s a clever little clip at the top of the legs which pulls out allowing them to open to a much wider angle, which gives you about 80% of a Benbo – when you need it, but a normal tripod when you don’t. Brilliant !! Tripods aren't something I use every day, but I have to pay tribute to one of my longest serving companions on the road, this rather battered Manfrotto 168 tripod head. I've always been a fan of ball and socket heads, and despite being “replaced” several times this head is still my favourite. Unfortunately now it really does have to go as it has developed rather too much play in its joints to be used any more. Like most photographers I know, I have a kind of love, hate relationship with tripods – viewing them as a necessary evil, partly because carrying one around all day adds a lot of extra weight to my already overweight backpack, but also because I am more a fan of the Cartier Bresson “capture the moment” school of photography, and tripods don't really fit in well with that type of photography.